The very hard to find Akai & Pioneer receiver / amplifier to speaker, short proof adaptor plugs / connectors / jacks. 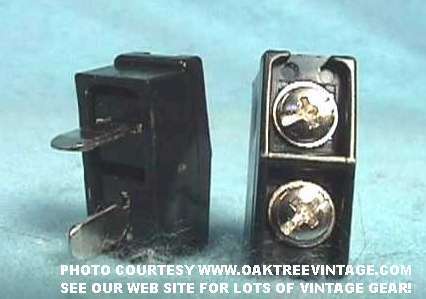 If you have an old Early-Mid 1970's Akai, Allied or Pioneer receiver / Amplifier that uses these, and have lost yours or need an additional set - here you go! 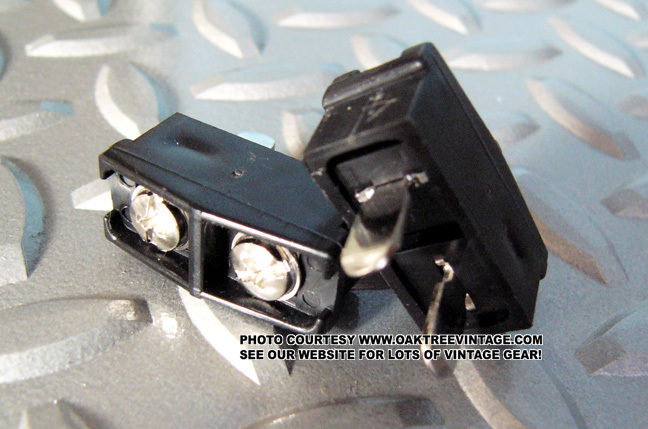 These receiver / amplifier / speaker plugs were used in the Akai receiver model AA-910, 920, AA-930, 940, AA-960, 970 AA-980, Pioneer Receiver / Amplifier to Speaker plugs for Pioneer receiver and amplifier models QA-800, SA-100, SA-302 & 302R, SA-500, SA-600, SA-700, SA-800, SA-900, SA-1000, SX-300T, SX-400, SX-424, SX-440, SX-525, SX-626, SX-727, SX-770, SX-828, SX-990, SX-1000 1000TD & TW, SX-1500, 1500TD, SX-2500, SX-3000 (European version of the SX-626), SX-6000, SX-9000, QX-4000, QX-8000, QX-9000, QX-9900 , Speaker plugs for Allied receiver models 335, 355, 365, 380, 395, 399, 435, 445, 490, 498, 475, 495 and may have been used in other receiver / amplifier models as well.